[Episcopal News Service] Jennifer Baskerville-Burrows first tried to read the Bible when she was 8 years old. “I thought that is what I should do because I wanted to go to church so bad and nobody was taking me, so I thought I’ll read the Bible,” she said. That tiny Gideon Bible belonged to her maternal grandfather, Joseph McCray, who would die two years later, after instilling in her a lifelong love of cooking, among other legacies. “They passed on so long ago but I have been thinking about the sacrifices that they made, and they cannot have imagined that life that I have now,” Baskerville-Burrows said about McCray and his wife, Mary Weaver, during an interview with Episcopal News Service. 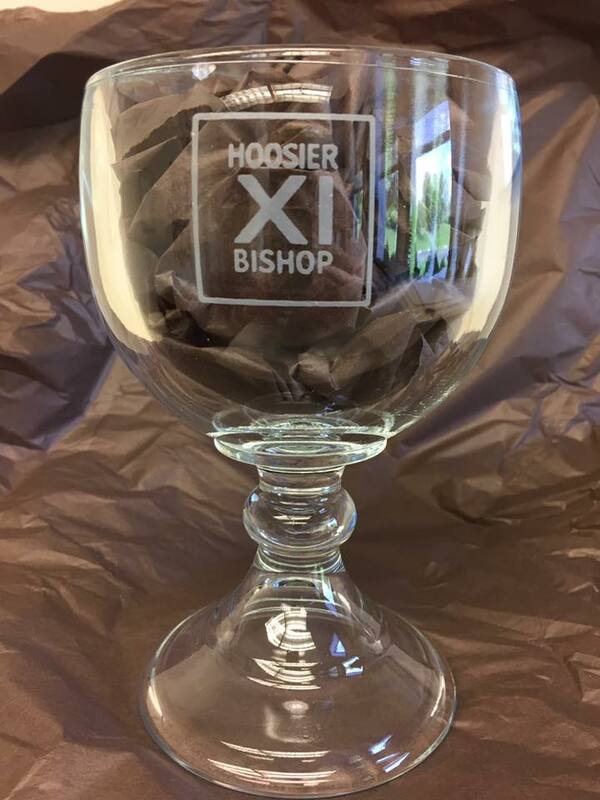 After a grand liturgy on April 29, Baskerville-Burrows’ life will include being the 11th bishop of the Episcopal Diocese of Indianapolis. Baskerville-Burrows, who previously served as director of networking for the Diocese of Chicago, will make history that day when Presiding Bishop Michael Curry and more than 40 other bishops call down the Holy Spirit to ordain and consecrate her as the church’s first black female diocesan bishop. The service will take place just more than 28 years since now-retired Massachusetts Bishop Suffragan Barbara Harris, who also is African-American, became the first woman bishop in the Anglican Communion. Baskerville-Burrows will succeed Indianapolis’ 10th bishop, Catherine Waynick, who 20 years ago became the fourth woman to lead an Episcopal Church diocese. This will be the first time in the Church’s history that a woman has succeeded another woman in an episcopate. Baskerville-Burrows is the 26th woman elected bishop in the Episcopal Church and will be the 12th female diocesan bishop, as well as the 44th African-American bishop and the 1,100th bishop overall in the Episcopal Church’s history. The bishop-elect is also an enrolled member of the Shinnecock Indian Nation, a federally recognized tribe based on Long Island in New York. Her paternal grandfather was a Shinnecock member who grew up on the tribe’s reservation. Baskerville-Burrows became a Christian as a young adult and chose to join the Episcopal Church at Trinity Church Wall Street in lower Manhattan. She was baptized there in 1989, the year after she graduated from college. Those folks include her uncle, Clarvis Soanes, who will join her husband, Harrison Burrows, to bring the gifts to the altar during the April 29 service. Soanes also walked Baskerville-Burrows down the aisle at her 2003 wedding in place of her father, who died in 1991. 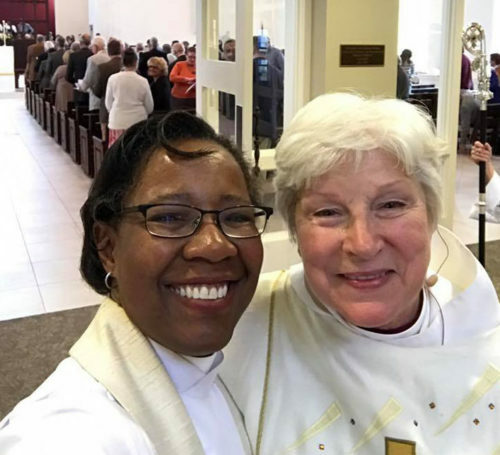 Meanwhile, despite much media attention, the historic nature of her pending episcopate has not been uppermost in Baskerville-Burrows’ mind during the days leading up to her ordination and consecration. “I probably downplay it way too much. That’s not the biggest thing in my mind, not daily anyway,” she said, adding that the awareness “comes in spurts,” especially when she meets people who express their excitement. “At the end of the day, I think the way I keep my sanity about all that is to say that my call is to be the best bishop I can be for this diocese,” she said. “And in doing that I will be the best role model I can be for other young men and women of color or of European descent” who might want to discern if they are similarly called. Being the best bishop for the diocese in the coming years, Baskerville-Burrows said, means nurturing what she sees as the Episcopal Church’s “particular voice and call” in the state of Indiana. 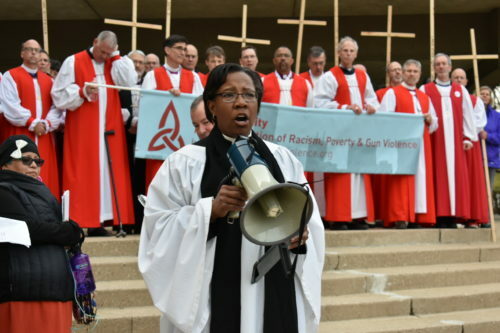 “We’ve got this Episcopal Church which for many decades has been the progressive, inclusive, all-y’all-come, we-serve-all diocese in the midst of a state that is far more conservative,” she said of the diocese. Baskerville-Burrows began her time as bishop-elect in Indianapolis visiting congregations on the outer edges of the diocese. She has met many people who are drawn to the Episcopal Church’s expression of Christianity. “We are providing this broad welcome for people who want to do the Jesus Movement stuff that Michael Curry preaches about,” Baskerville-Burrows said, adding that she wants to help the diocese continue to be clear and bold about articulating that welcome. “We’ve got a little bubble here that I’d love to expand,” she said of the diocese’s 48 congregations and about 10,000 Episcopalians. As she prepares for her historic position, Baskerville-Burrows said she has been thinking about and talking to others about how the church can remove the barriers to women and people of color entering leadership roles at all levels of the church. Doing so will eventually lead to bishop elections offering more diverse slates of nominees to dioceses more willing to consider them, she added. The Diocese of Indianapolis has been trying to do just that, and the effort laid the foundation for the people of the diocese to elect a nominee like her, Baskerville-Burrows said. The track of her own life should be more commonplace, she added. “I have had really good experiences and good mentors who helped me discern every move I made and I want that to be normative. I don’t want that to be the exception,” she said. Baskerville-Burrows was raised in the housing projects of New York City and educated in the city’s public schools through high school. She has one brother. Her mother, who will be present April 29, still lives in New York City. The bishop-elect holds a bachelor’s degree (1988) from Smith College in Northampton, Massachusetts, where she majored in architecture and minored in urban studies. She earned a master’s degree in historic preservation planning from Cornell University in Ithaca, New York, in 1994 and a master of divinity degree from Church Divinity School of the Pacific in Berkeley, California, in 1997. Ordained by the Diocese of Central New York, she was rector of Grace Episcopal Church in Syracuse, New York, and Episcopal chaplain at Syracuse University from 2004 to 2012. She has also served at St. Paul’s Episcopal Church in Endicott, New York, and St. Peter’s Episcopal Church in Morristown, New Jersey, and as director of alumni relations at Church Divinity School of the Pacific. The diocese elected Baskerville-Burrows out of a field of five nominees on the second ballot Oct. 28 at Christ Church Cathedral Indianapolis. At the time, she was director of networking for the Episcopal Diocese of Chicago, a role she began in 2012. In that role, she led the diocese’s communications, fundraising and community relations, including initiatives against racism and gun violence. One of the defining experiences of her ministry came when she found herself at Trinity Wall Street near the World Trade Center the morning of Sept. 11, 2001, part of a small group of Episcopalians from across the country meeting with Bishop Rowan Williams, who would soon be named Archbishop of Canterbury. After the attack, she spent hours with others in a stairwell of Trinity’s office building. As the tension of the unknown rose in the stairwell, she told Episcopal News Service in 2011, she confronted the prospect of dying that day. She realized that she was standing next to the Rev. James Callaway, who had baptized her. “I thought, here’s where I came into life and I might die here, and if I was going to die, maybe this is OK … I can be reconciled to that,” she told ENS in the 2011 interview below. About 19 months after that day, Baskerville-Burrows married Harrison Burrows, a native of Crown Haven in the Bahamas. Burrows was a youth minister in the Bahamas who has studied at Bexley Hall (an Episcopal seminary formerly located in Rochester, New York) and Church Divinity School of the Pacific. Burrows now works in sales. Their son Timothy Burrows, 6, is a kindergarten student at St. Richard’s Episcopal School in Indianapolis. Baskerville-Burrows is an accomplished distance runner and triathlete. During her 2016 sabbatical, she attended a running retreat for mothers in Spokane, Washington, and visited Green Turtle Cay in the Bahamas to record the recipes of her husband’s great-aunt, who is the island’s bread baker. Baskerville-Burrows is an avid cook and baker who once had a blog called Cookin’ in the ‘Cuse. The April 29 liturgy takes place at Clowes Memorial Hall on the Butler University campus in Indianapolis. Curry, the church’s first African-American leader, will preside and he will be joined by more than 40 bishops. The service will be webcast here, and the prelude begins at 10:30 a.m. ET. Curry will visit St. David’s Episcopal Church in tiny Bean Blossom, Indiana, about 50 miles south of Indianapolis on April 30 for a 10:30 a.m. Eucharist. The service will be webcast here. St. David’s was one of at least two Episcopal churches – the other was in suburban Washington, D.C. – that were vandalized on the same night just after the November presidential election. Baskerville-Burrows will be seated in Christ Church Cathedral in Indianapolis during an April 30 liturgy that begins at 11 a.m. A block party will follow. A full schedule of events that begin April 28 is here. A refreshing and welcome new bishop for this diocese. I celebrate for them and so filled with joy for Jennifer. Hearty congratulations from an Episcopalian woman in Columbia SC! A splendid person, an excellent priest. We pray she will step up and become ( as she says) the best bishop she can be for the diocese !! It is indeed a great blessing to be adding Jennifer to our House of Bishops for her diocese and for the whole of TEC. Congratulations! It is a time to celebrate! So proud of you and excited for you, Jennifer. We will be praying for you at st. Pauls in Franklin, TN. Indianapolis is my place of birth!! Wonderful bishop preceding her, and am thrilled that the bishop’s seat will be filled by another outstanding person. I feel blessed to have had the pleasure of meeting and talking with Bishop Waynick at the AAM conference in Indianapolis a few years ago. I now look forward to meeting and hearing your new bishop. Prayers from Tennessee. Congratulations on this so exciting moment in history. I don’t know if you remember me but I am Gurdon Brewster’s youngest daughter, Sarah. Gurdon was the chaplain at Cornell University when you were there. He just passed away earlier this month. It was a shock for us all but I know he would be chearing you on tomorrow in this most exciting phase of your life. He would be so proud. And I am so proud that I got to know you. Much love to you and blessings on this journey. As an ordained Presbyterian woman I congratulate you on your new office. I still don’t want a bishop. Your story about reading the Bible as a child strikes a chord with me, I read mine as child. The knowledge gained there protected me from the propaganda in my life. As a woman I can do all things through Christ who strengthens me! 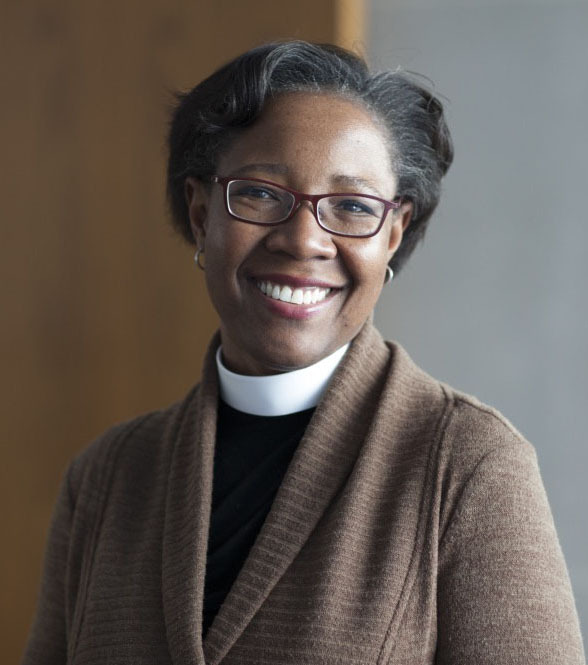 Hearty congratulations to Bishop-elect Jennifer Baskerville- Burrows and to the Episcopal Church. I am so proud and many blessings on your journey. Congrats to both Bishop and Diocese! I know the Lord is with you for just look how far HE has brought you. I am so blessed to have witnessed your confirmation today!! Love you my friend! I thought Barbara Harris was the first diocesan Bishop in Massachusetts. She was the bishop suffragan. Thank you for being a change advocate and a inspiration to women in our Church and especially women of color. Blessings to you and congratulations!